On Friday the 13th the winners of (also) 13th edition of Copenhagen Documentary Film Festival were announced. The jury worked hard on reaching the unanimous decision. This year the films were divided into seven categories and competitions: DOX: AWARD, F: ACT Award, NEW: VISION AWARD, NORDIC: DOX Award, DOC Alliance Award, Politiken Publikenpris (Audience Award) and DR Talent Award 2015. The jury reflected on 4 main competitions: DOX: AWARD, F: ACT Award, NORDIC: DOX and NEW: VISION. During the closing ceremony for the Festival, Politiken (the Danish daily newspaper) announced the winner of Politiken Audience Award and the Reel Talent Award was presented. “The jury is pleased to recognize this lyrically composed, structurally innovative exploration of the documentary imperative to shed light on unseen corners. Beautifully investigating the relationships between people and place, physical and emotional environment, past, present, and future, the special mention goes to Uncertain by Ewan McNicol & Anna Sandilands”. The jury for DOX:AWARD consisted of Elena Fortes, the director of Ambulante, a non-profit organization working to support and promote a documentary film culture in Mexico; Miguel Valverde, Festival Director and Programmer at IndieLisboa; Jim Kolmar, Film Programmer for SXSW; Bernie Krause, professional musician turned soundscape ecologist, author; and Katja Adomeit, producer and freelancer for Coproduction Office Denmark. 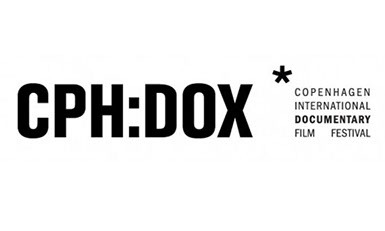 “For its ability to show us a country with complex political situation, for unprecedented access to part of its educational system with far-reaching consequences and to the dedication the filmmakers have shown in the following the story the jury has decided to give CPH: DOX F: ACT Award to Among the believers by Hemal Trivedi & Mohammed Ali Nagvi. The F:ACT Award jury consisted of Sean McAllister, director, and cinematographer; Veton Nurkollari, photographer, producer, programmer Co-Founder and Director of DokuFest; Nagieb Khaja, journalist, filmmaker and producer for The Guardian, Vice News & BBC; and Hanna Attalah, Palestinian filmmaker and founder of Film Lab: Palestine. The jury consisted of Paolo Moretti, film festival director of La-Roche-sur-Yon; Johan Blomqvist, programme coordinator at Göteborg Film Festival; Anne Eborn, film director; Nathan Budzinski, filmmaker; and Francesco Giai Vai, head of the programme at CinemAmbiente and film critic. The NEW: VISION Award is shared between Bending to Earth, by Rosa Barba, and ‘The Digger’ by Ali Cherri. “There are many ways a vision tells the story of how we never cease to be haunted by the pervasiveness of a landscape or human ritual that, notwithstanding its ancient history, prove strikingly timeless. This is why this year’s New:Vision jury has decided to offer the award to two films in view of their thought-provoking ability to deal with the notion of time powerfully and coherently, to define a multi-layered and poetic archaeology of surrender to time through investigating the marks and traces that we leave behind at carefully selected and controlled, remote sites. In Rosa Barba’s Bending to Earth, we are simultaneously transported to the past and the future as the present lurks in their shadows. A clinic but strange timelessness comes out of this folding together of time. Dinosaurs and drones could meet in this entropy. The layering of the brilliant soundtrack, the evocative script and the beautifully dizzying 35mm imagery construct a cinematic gem about our present’s perpetual confusion and the future’s uncertainty. Rosa Barba’s film Bending to Earth will keep on haunting us. The jury consisted of Tine Colstrup, curator at Louisiana Museum of Modern Art; Basim Magdy, artist and filmmaker and winner of NEW: VISION in 2014; Diana Baldon, director and curator of Malmö Konsthall; and John Skoog, award-winning filmmaker. The Association of Danish Film Directors and CPH: DOX hand out the Real Talent Award to a documentary director, who has shown an exceptional cinematic vision at an early stage. “On behalf of Danish Directors and CPH: DOX it is my pleasure to announce the winner of the Real Talent Award of 25.000 Dkr. The jury consisted of Tue Muller, a freelance journalist for Filmkommentaren.dk; Fredrik Geerten, filmmaker, and journalist; Klaus Kjeldsen, film director; Mette-Ann Schepelern: cand.phil, Danish director and creative producer; and Tine Fischer, festival director at CPH: DOX. Special thanks to Katrine Ravndal for contributing to this article. © 2018 Anna Jozwiak. All rights reserved.